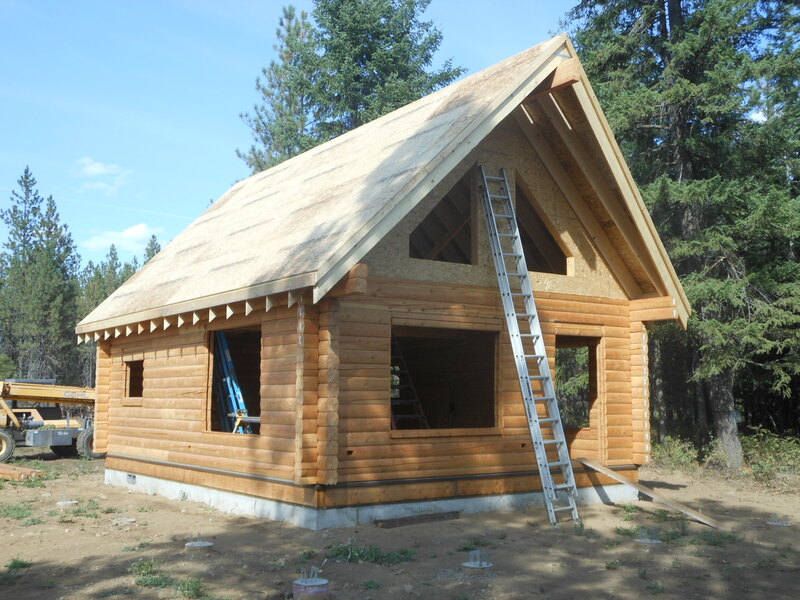 This log cabin, using the Sportsman floor plan, makes the most of available space. 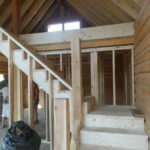 At 840 sq. 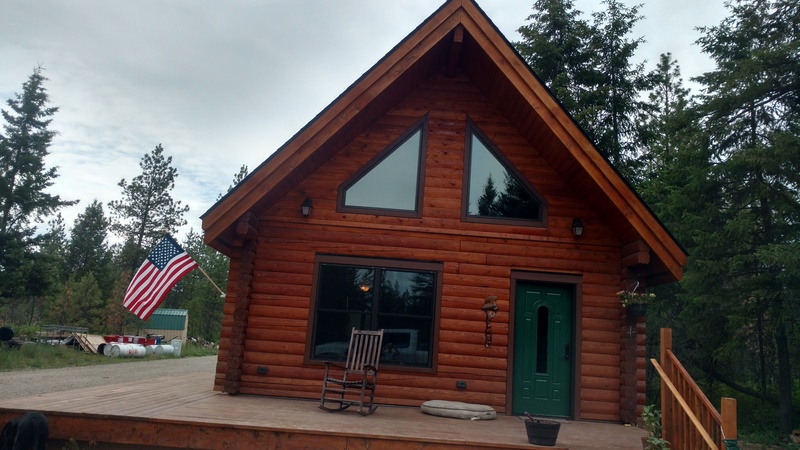 ft., this cabin floor plan incorporates a separate bedroom and full bath. 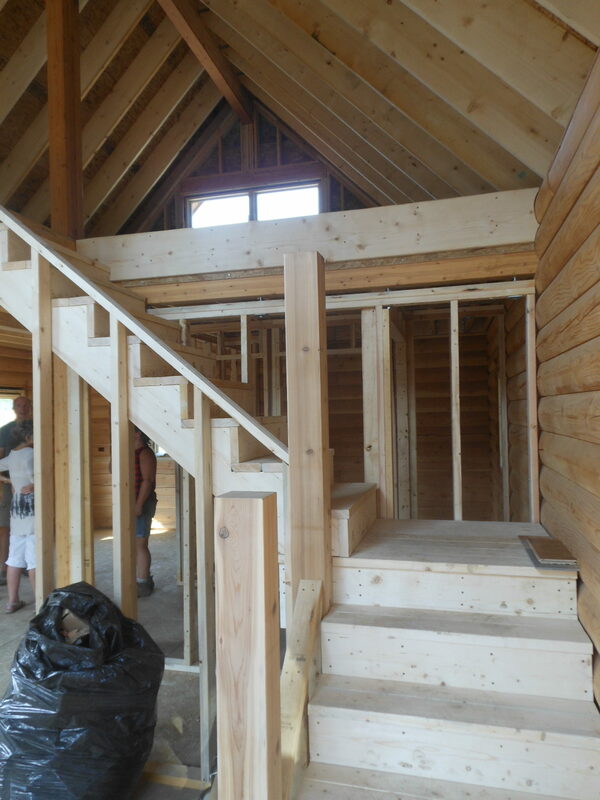 The cleverly designed kitchen includes bar seating, plus a separate dining area. 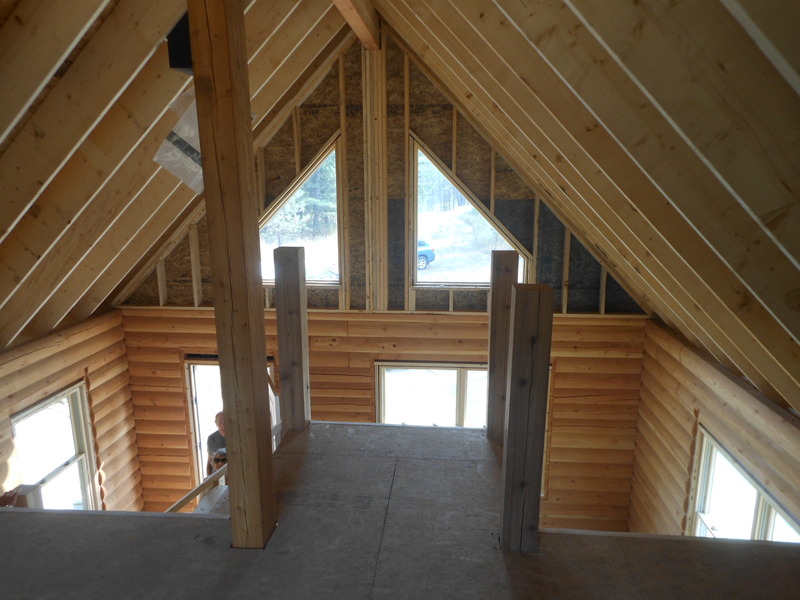 The second story loft can be used for many different purposes — from relaxing to socializing to providing additional sleeping space. 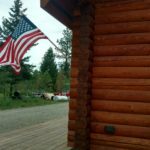 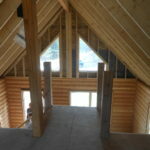 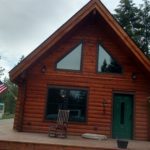 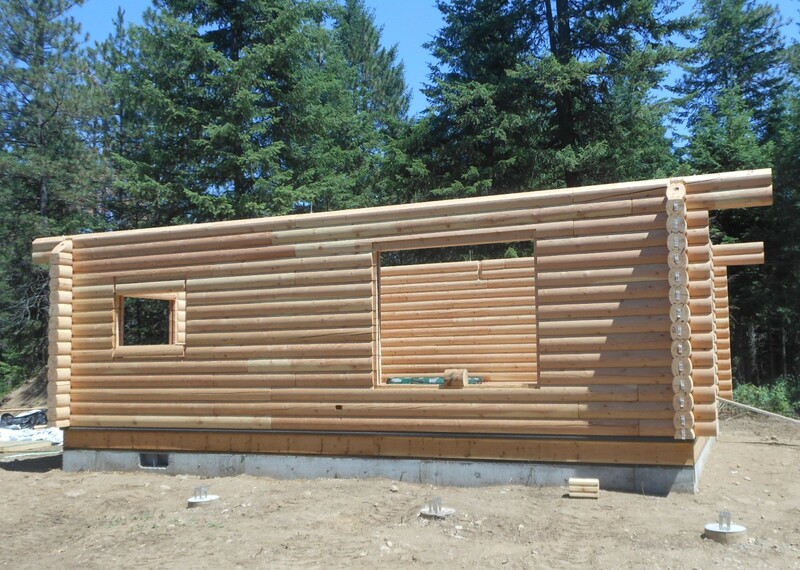 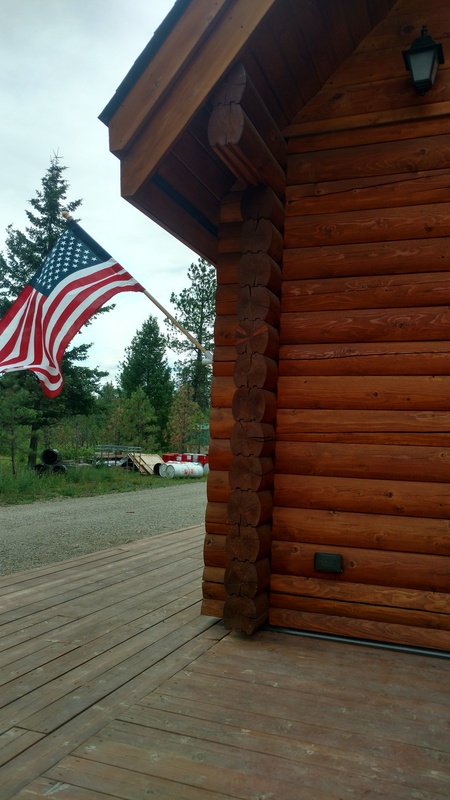 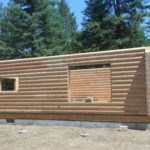 This cabin was customized slightly from the Sportsman Cabin and once finished will provide many years of happy memories for the homeowner and family. 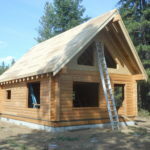 Contact us for more information about how you can build your own custom log cabin.